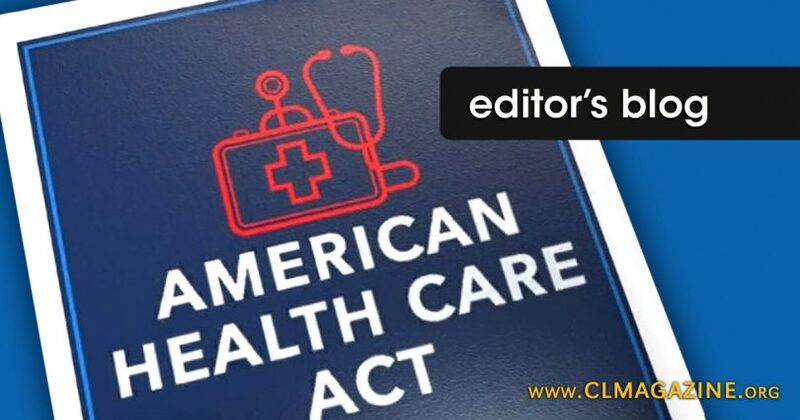 On Thursday, May 04, 2017, the US House of Representatives passed a health bill (H.R. 1628) that would defund Planned Parenthood for one year. The bill will now go to the US Senate…and Planned Parenthood is not happy. No sooner had the bill passed the House than the nation’s largest abortion chain sent an e-blast looking for signatures on a petition to Congress—and of course, some donations. PP’s melodramatic e-blast is filled with words like “angry” and “fearful.” The text of the e-blast regurgitates PP’s ridiculous narrative that it is the great defender and medical caregiver of poor women who are under attack. There is nothing new to see here; however, the petition to Congress does end with a paragraph that left me speechless…well, for a second or two anyway. The rush to repeal the Affordable Care Act has created an extraordinarily unpopular bill that would lead us into a national health care disaster. And it’s no wonder: It could cause thousands of deaths and untold suffering, and force impossibly high health care costs on those who can least afford it. It puts tax cuts for the wealthy ahead of care for the sick, and partisanship ahead of compassion. PP IS ALREADY CAUSING THIS EVERY SINGLE DAY!!! Irony of ironies! PP directly kills children in the womb every day, causing untold suffering and HUNDREDS of thousands of deaths in the course of a year (over 300,000) . The hypocrisy here is palpable. PP is feigning righteous anger over a hypothetical (“[i]t could cause…”) when in fact PP DOES cause these atrocities…in spades. PP has no claim to righteous anger. This bill finally addresses the righteous anger of many taxpayers who are appalled that this greedy abortion machine receives even a penny of their money. Let’s hope and pray the bill passes the Senate and winds up on President Trump’s desk for his signature!